A hump is a staple part of my hair styling arsenal because I love to add a little extra height to my hair when I am wearing it off of my face. 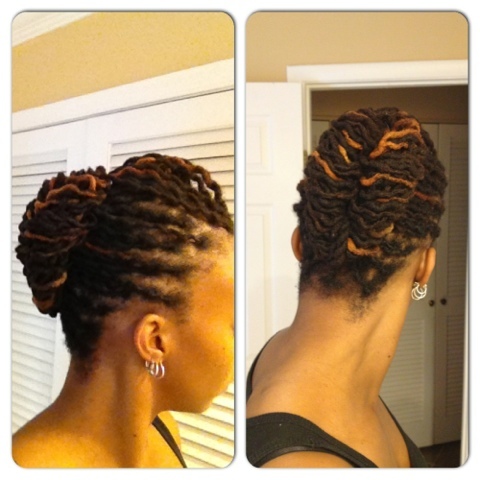 For this style I use an unusual accessory as the base…a banana clip which I’ve had since my days as a loose natural. 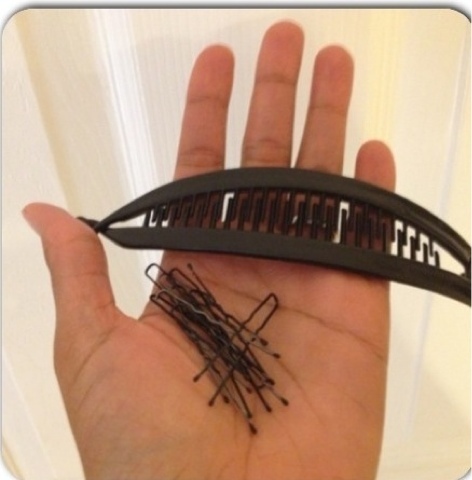 The tools necessary for this style, are a banana clip, some hair pins, and maybe a rubberband or two to keep your hair separated. 1) Separate a section of locs at the front of your head, from temple to temple and you can secure it with a rubberband to keep it out of the way. Then take another section that is about the same size, separate into two bundles and tie a single knot just as if you were tying your shoe. This will form the base of the hump. These two sections can be made bigger or smaller depending on the size you want your hump to be. 2) Now use the very first section to cover the knot, and secure the hump with a few hair pins or bobby pins once it is arranged it how you want it to look. 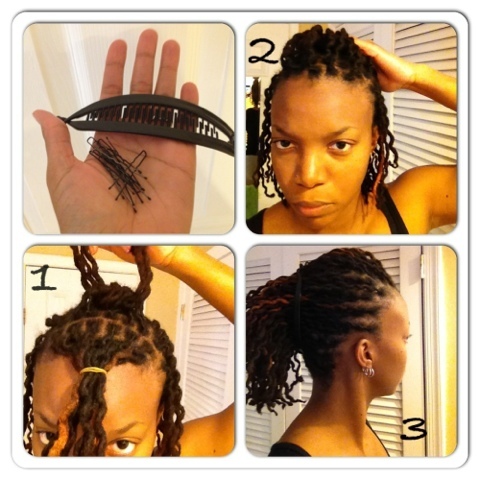 3) Now gather the rest of your hair into the banana clip. You can stop at this point for a funky faux Mohawk look. 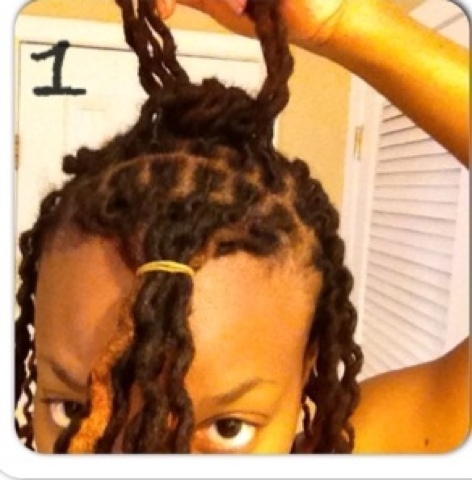 This would be really cute if you want to enjoy the last of some fallen curls or crinkles from a braid out or twist out. 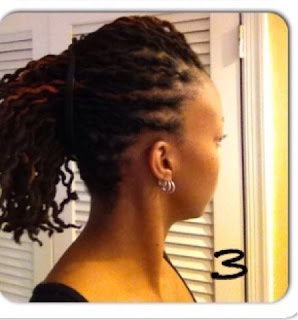 4) For the updo, separate the hair that is in the banana clip down the middle, and starting from the bottom, roll each section around to cover the banana clip, pinning the locs in place. Voila! A quick and easy updo that is polished and sophisticated! 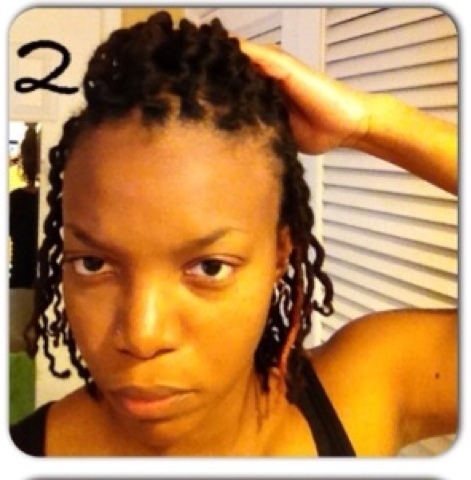 This style can also be done without the hump by pulling all of the hair back into the clip, or with some curls in the front!